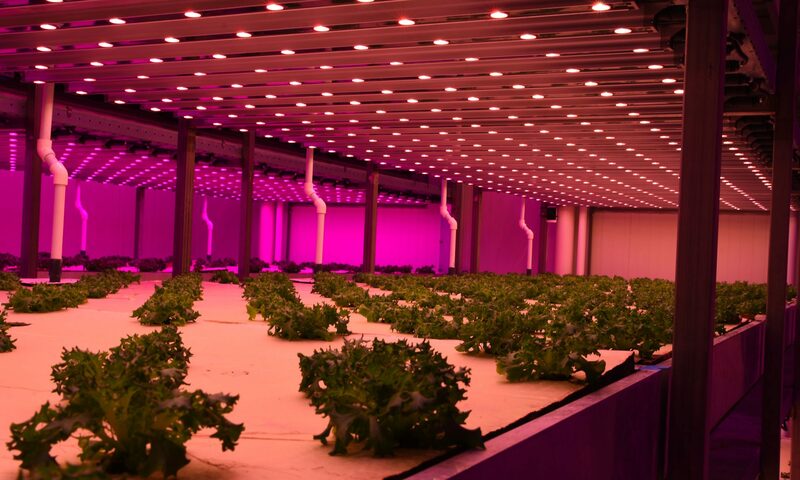 Agrotopia – a living lab for high tech urban and greenhouse horticulture – Presented by Ine Pertry, Inagro at the Vertical Farming Conference, on Jun 27, 2018, at Brightlands Campus, Villa Flora, Venlo, The Netherlands. 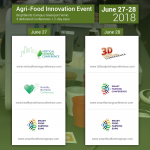 The conference is part of a two-day agri-food event with 4 conferences, an expo, a 3D Food Printing Masterclass, plus more activities and workshops. INAGRO is building a research greenhouse on the rooftop of a warehouse of REO Veiling in the city of Roeselare. The greenhouse will demonstrate integration of greenhouse cultivation in urban environments by using resources from the city environment such as energy and water as well as best practices for soilless vegetable production. The greenhouse will also serve as a living lab to exchange knowledge and develop innovations through co-creation, involving all relevant stakeholders in the innovation process. Technology developers will have the opportunity to engage in this co-creation process or to demonstrate their latest innovations in an exhibition room. Inagro is the knowledge partner of agricultural and horticultural businesses in the areas of innovation and sustainability. Within its own optimised professional research infrastructure, Inagro’s scientific and technical teams devise farming and cultivation techniques ready for practical use. Our partners in these endeavours are universities, university colleges and businesses. Inagro’s advisers take the new know-how to the agricultural and horticultural businesses and guide the businesses in how to implement these insights, all of which is supported with professional communication tools. Inagro is located in the very intensive and innovation-driven agricultural and horticultural heart of the province of West Flanders (Belgium).